Suitable for transport vehicles and caravans, the Radial RA28 achieves excellent handling properties and high levels of fuel efficiency. This tyre provides a comfortable performance thanks to its reduced levels of noise. Designed with an asymmetric tread pattern, this tyre works to rapidly evacuate water from the tread to provide enhanced aquaplaning resistance, resulting in excellent safety in wet weather conditions. This tyre was awarded a 'B' in some sizes for 'Wet Grip' by the EU Tyre Label. 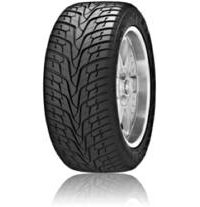 In addition, the Radial RA28 reduced rolling resistance for enhanced fuel efficiency and lower emissions.